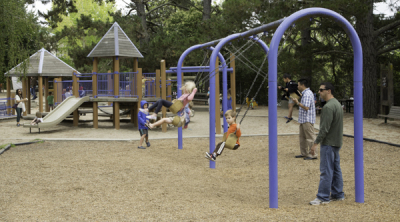 The Orinda Park and Recreation Foundation's mission is "To aid and contribute to the City of Orinda's recreational and community service activities related to parks, open space, beautification efforts and community recreational improvements." 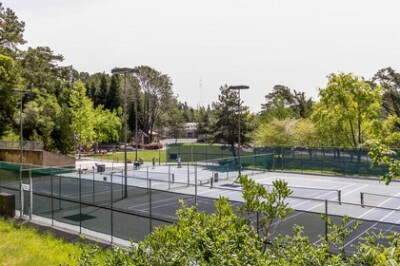 The Foundation was founded in 1975, before Orinda was incorporated as a city, for the purpose of raising and receiving funds for the establishment and maintenance of public recreations facilities in the Orinda area. 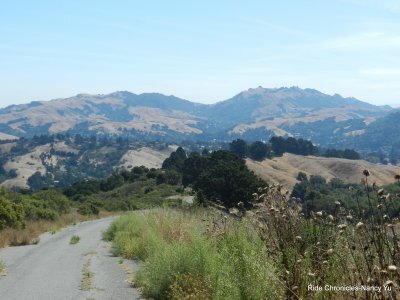 During over 40 years of OPR Foundation's existence, many notable Orindians have served on our board and we have financially supported countless local organizations in their efforts to further enhance the community's natural resources and benefit the lives of Orinda's residents in a variety of ways. A pdf document containing a more detailed history of our organization is available by clicking here . 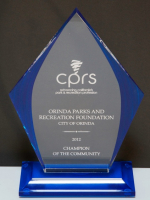 The California Park and Recreation Society awarded its 2012 Champion of the Community Award to OPR Foundation for our support of parks and recreation since 1975. 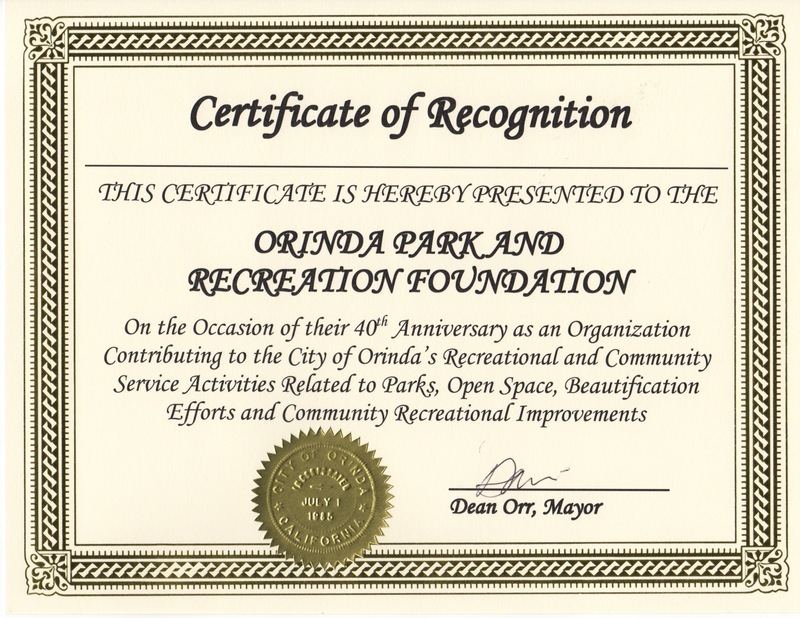 The Orinda City Council recognized the OPR Foundation in 2015 for its 40 years of contributions to the community. Our board of directors meets on the 3rd Thursday of each month at 8:30am. Check our calendar for the location...either in the Orinda City Hall or at the Library. All interested residents of our community are cordially invited to attend. Some prominent community members have voiced their strong support of our mission and agreed to serve on our Advisory Board.